Windows XP still runs on 95 percent of the ATMs in the world, says Reuters. Right now, 95 percent of the 2.2 million ATMs in the world run Windows XP, according to a report by Reuters. Furthermore, Microsoft ends support for the 13-year-old operating system on April 8, only a third of the ATMs currently running XP will have been upgraded to something newer. But unlike your home PC, which will be on its own after April 8, ATMs will still get security updates and other necessary operating system maintenance—so long as they pay up. Britain’s five biggest banks—all five of them—are unprepared and are negotiating agreements with Microsoft so the company will continue support. As Reuters reports, it will cost each bank about $100 million total to both maintain support and also get the system upgraded. They were probably not very serious about the directive that came in from Microsoft. There’s a lot of change going on at these banks at this moment in time and they would have seen Windows XP as one more change. Meanwhile, most of the roughly 440,000 ATMs in the United States will also keep running XP for a while after Microsoft officially ends support. 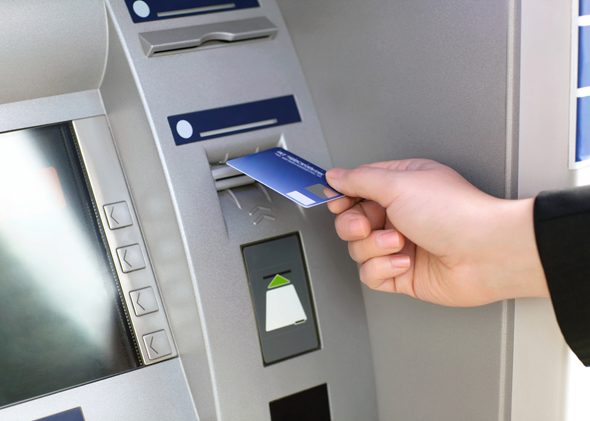 They will be on extended contracts, and many will use the switch as an impetus to upgrade their ATMs with microchip readers, increased data encryption, and/or other improvements. The situation still seems dangerous, though, since Microsoft won’t be as focused on XP once it’s retired, and hackers will probably be on the hunt for machines running the old operating system that they can try to exploit.